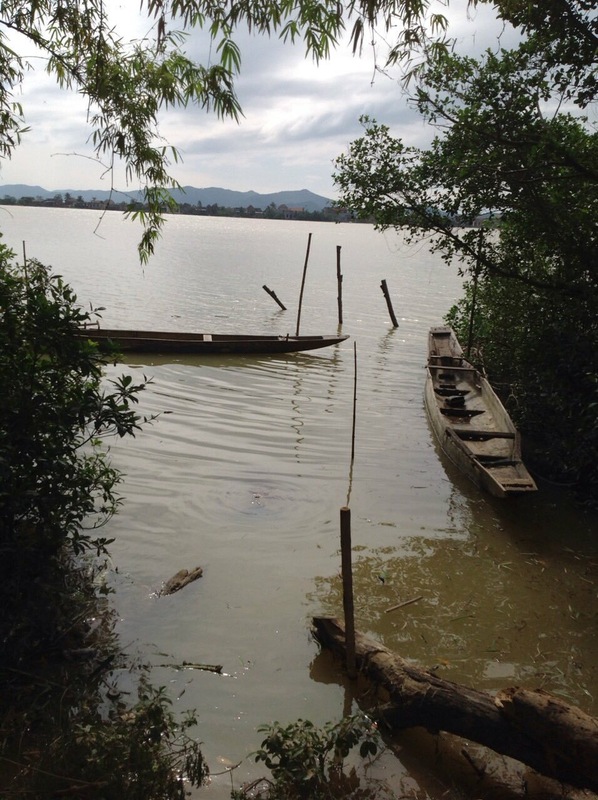 Heavy rains in Vietnam have devastated many poor communities, and those in the poor rural areas have seen homes and fields flooded. 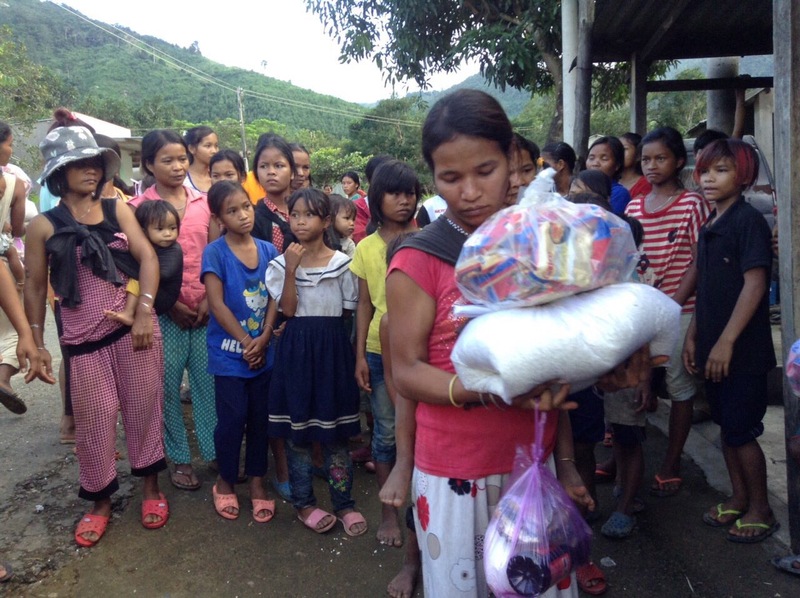 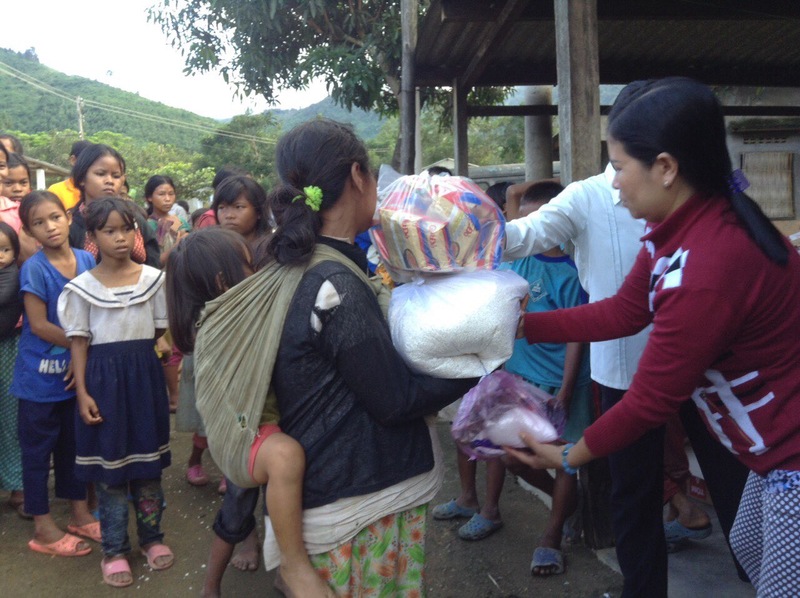 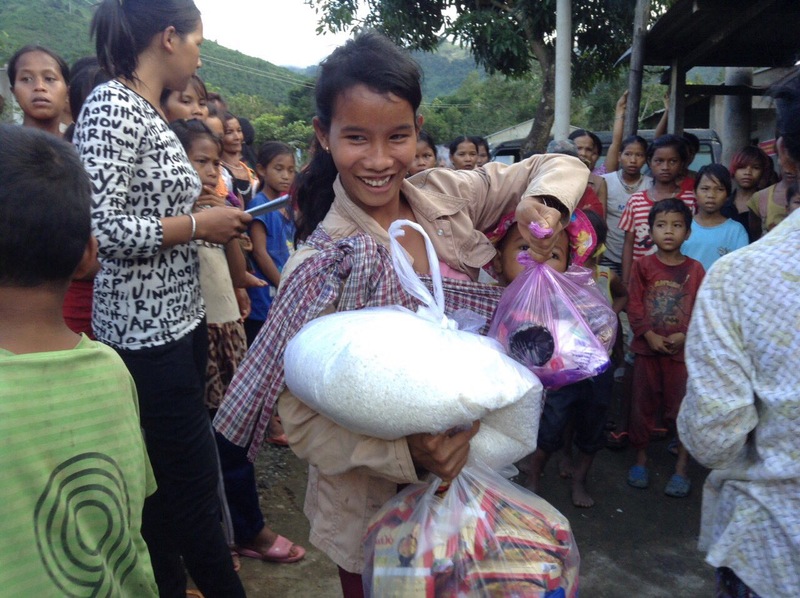 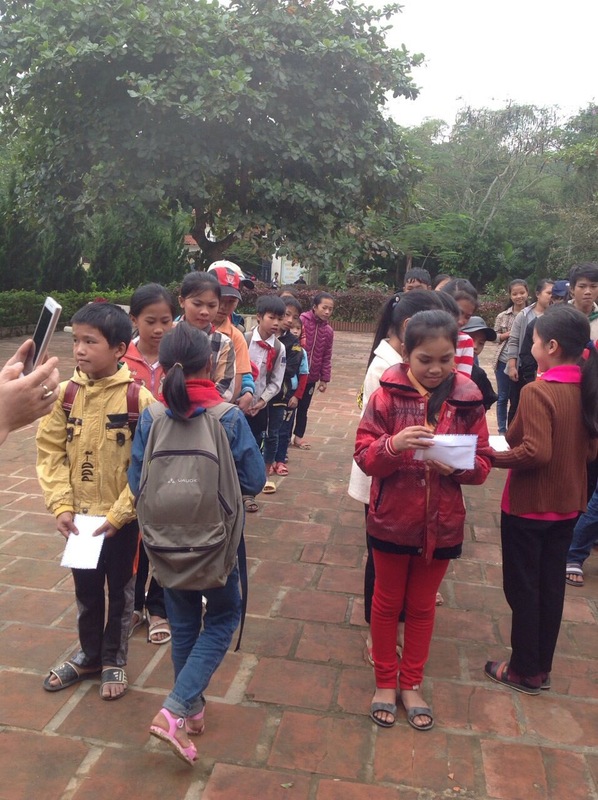 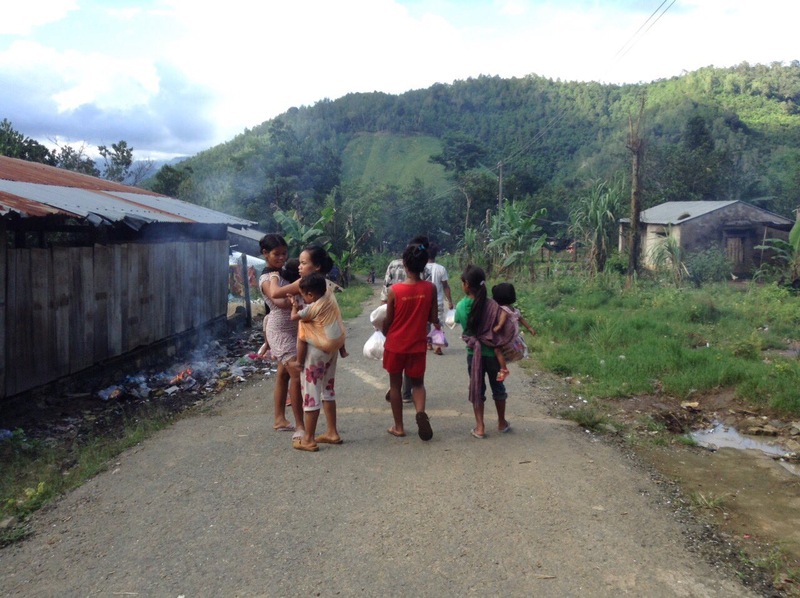 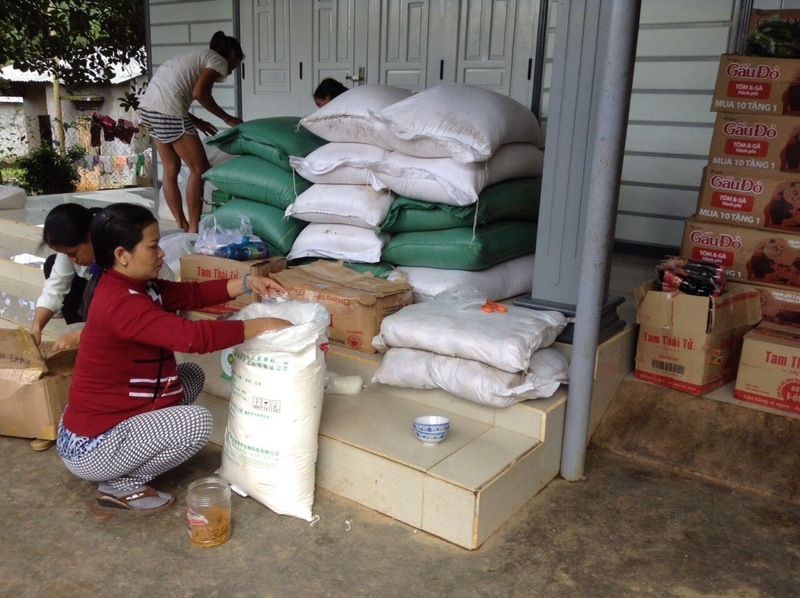 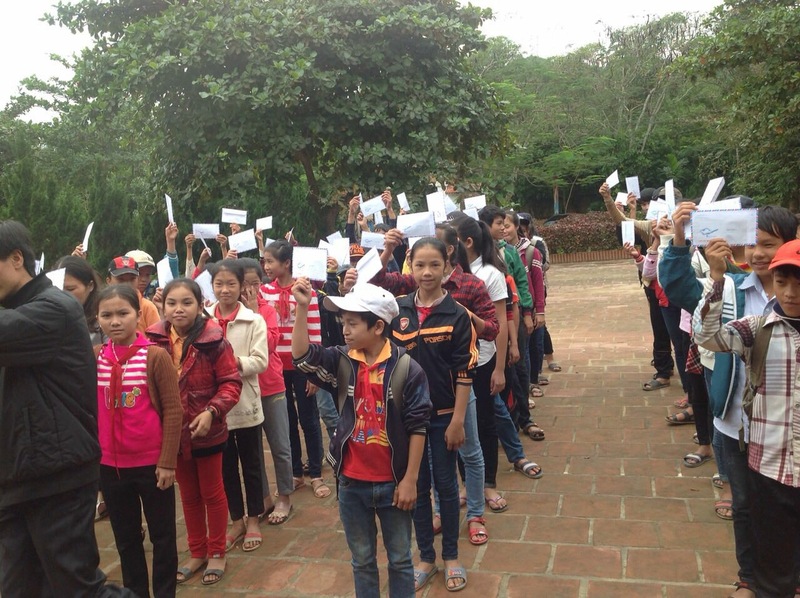 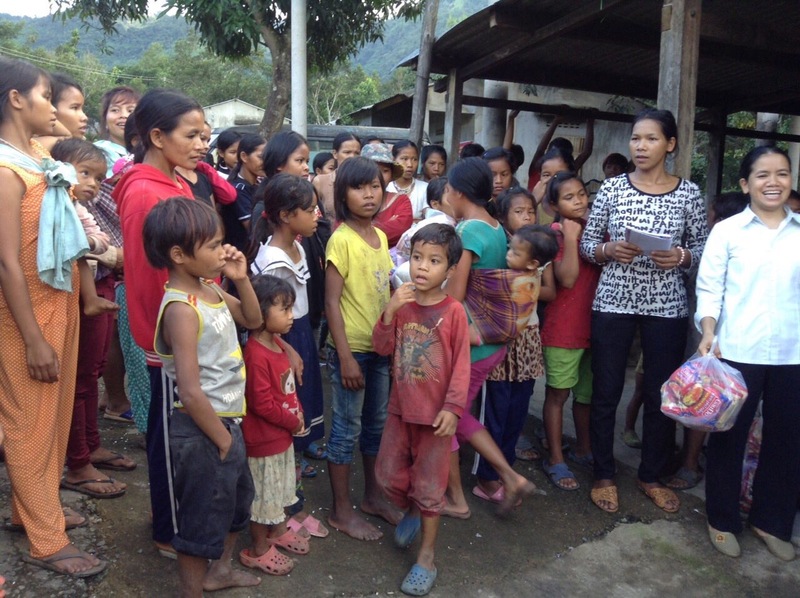 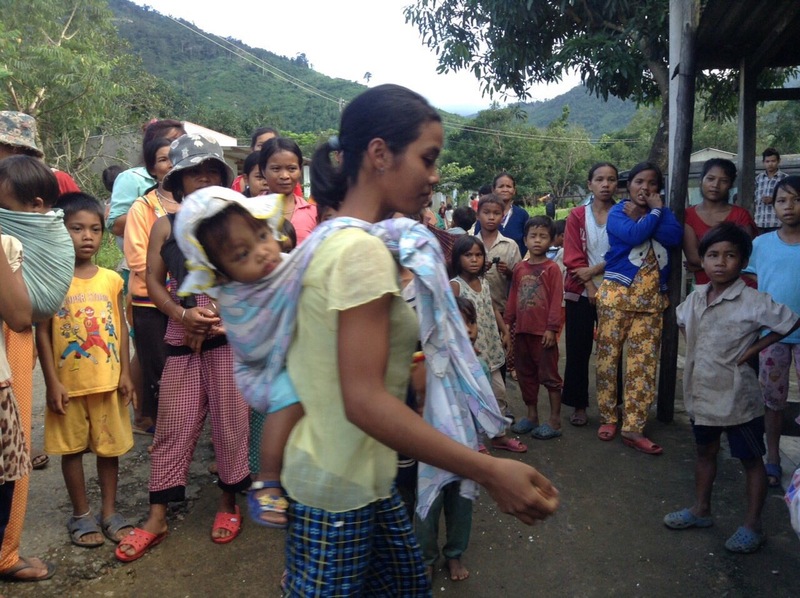 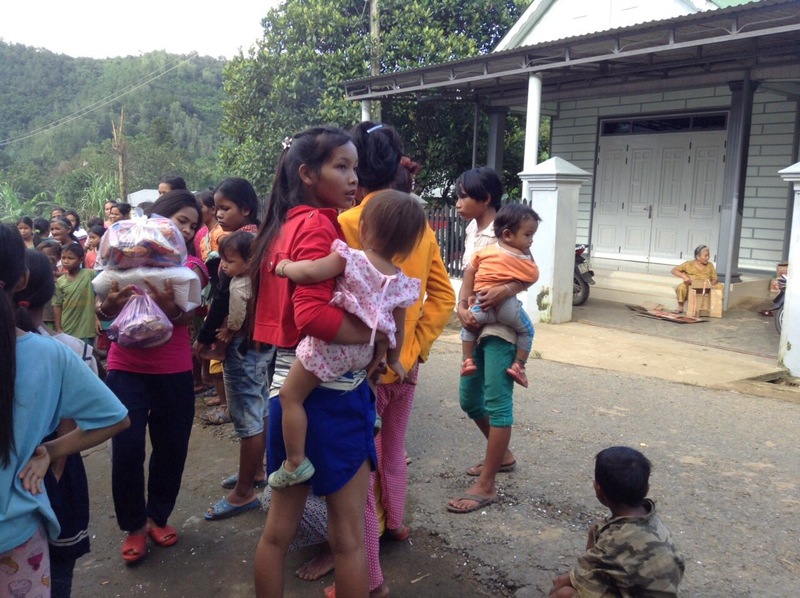 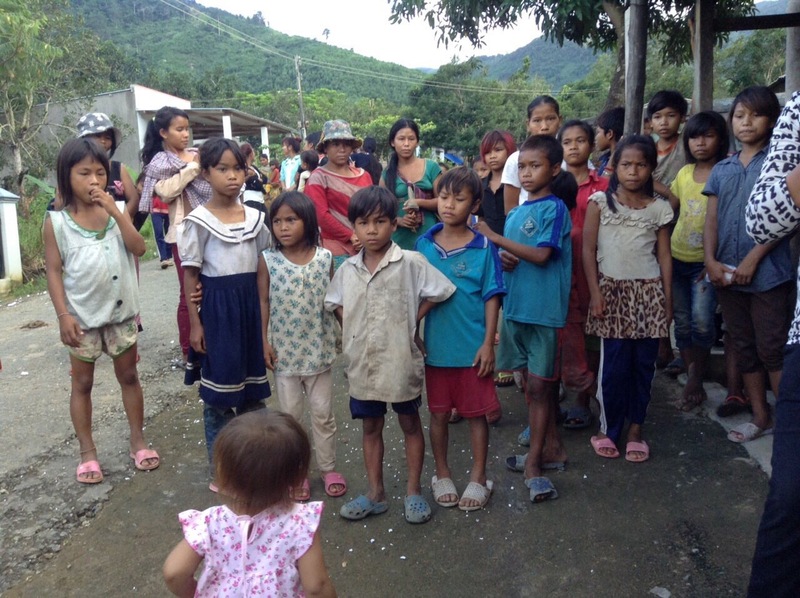 Families were desperate for any aid, and in November 2016 we brought much-needed assistance to families in the Khanh Son mountainous region of Khanh Hoa province and poor households in Quan Binh province. 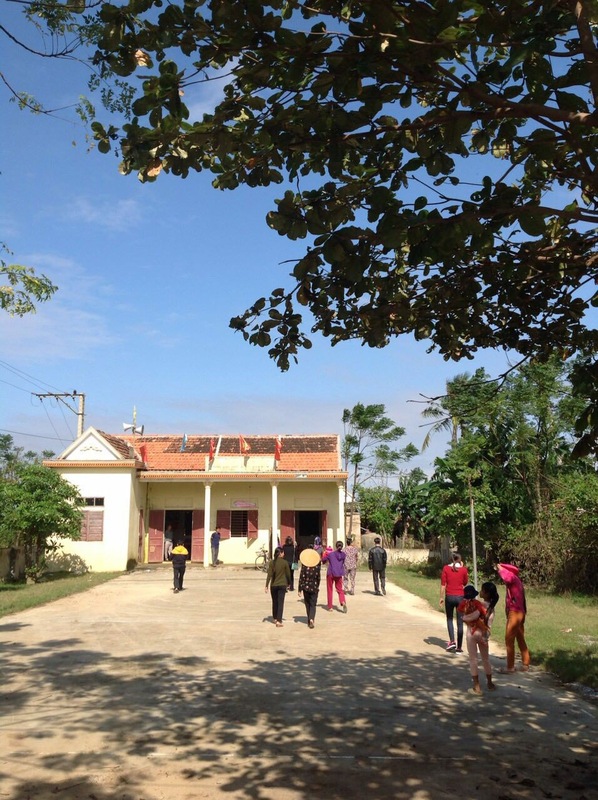 Khanh Son lies to the southwest of Nha Trang, and has many villages composed of the Raglay ethnic minority. 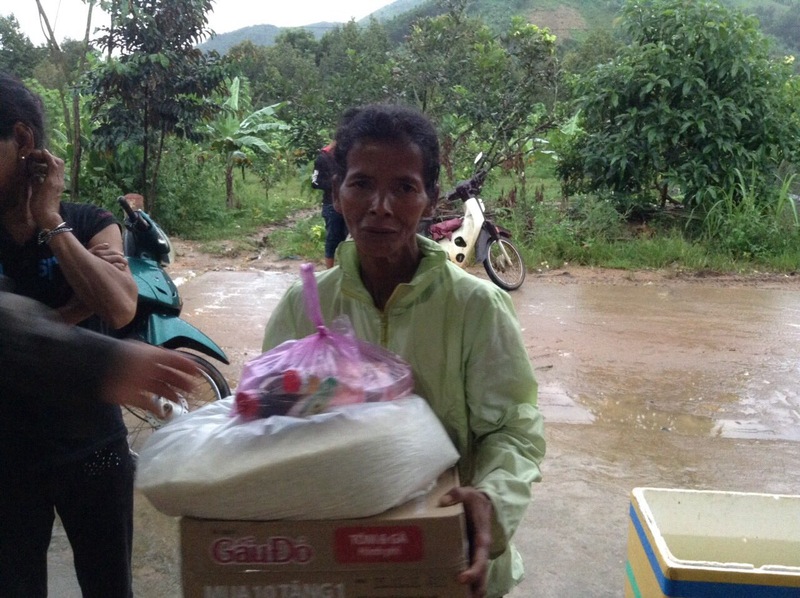 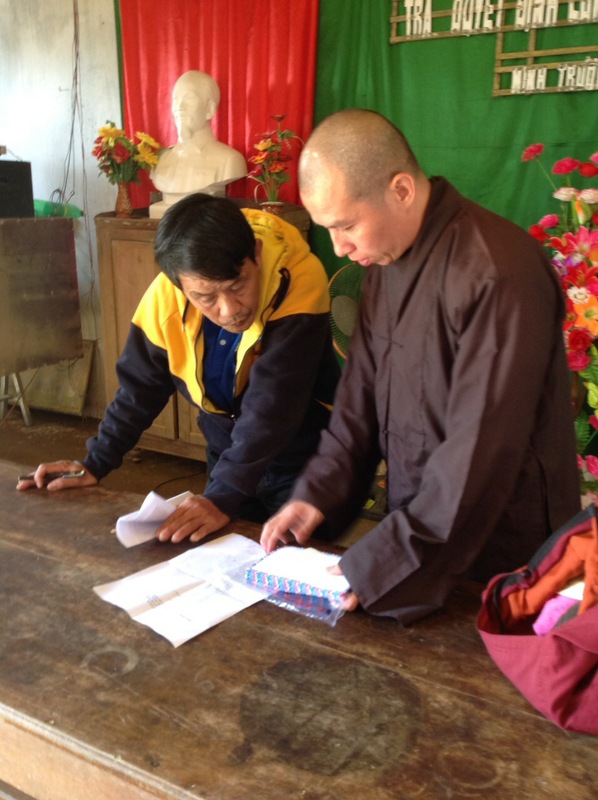 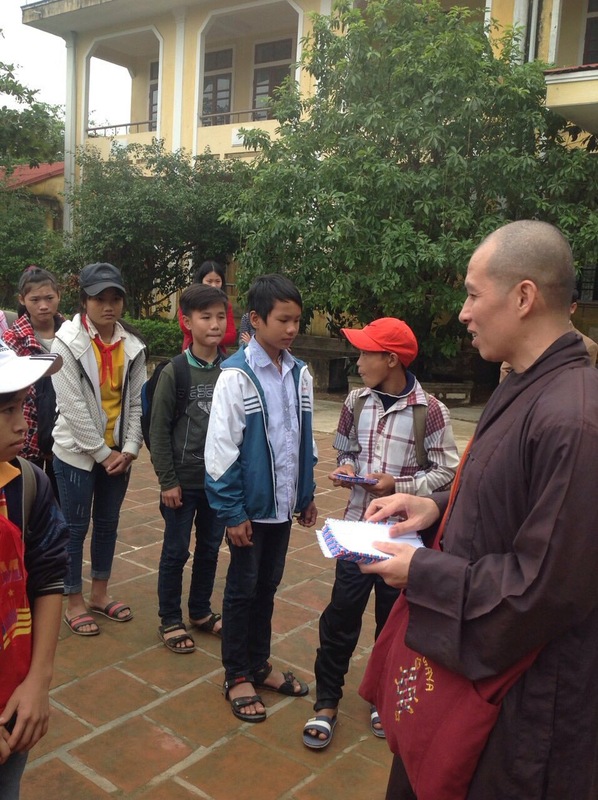 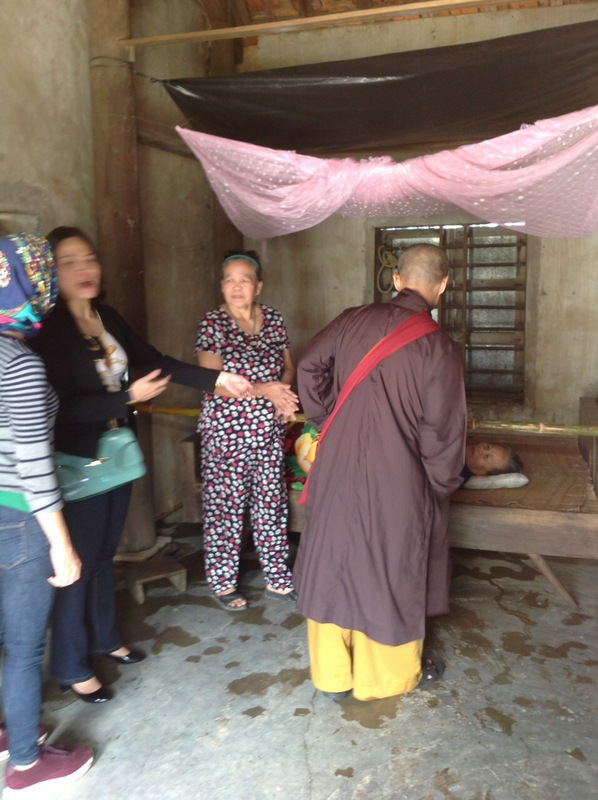 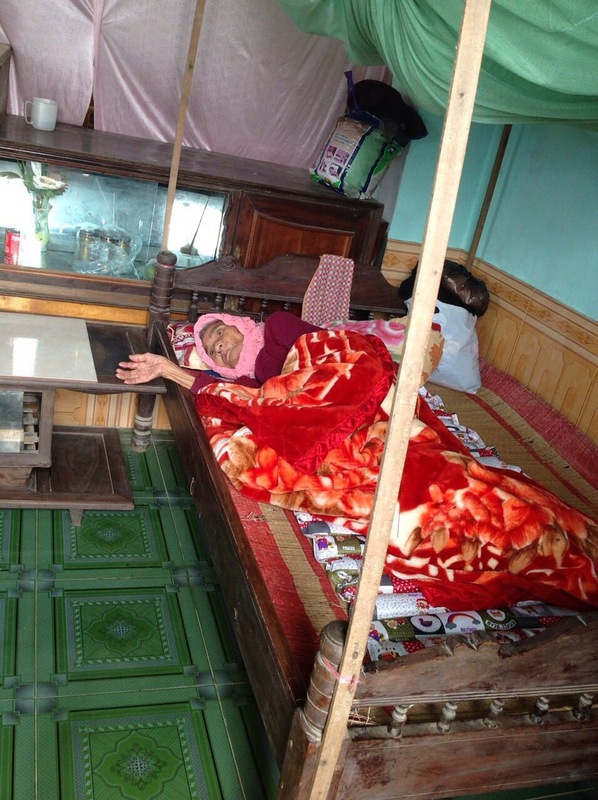 In the past, we have brought clean water, medical assistance, household provisions, and basic foodstuff to Khanh Son. 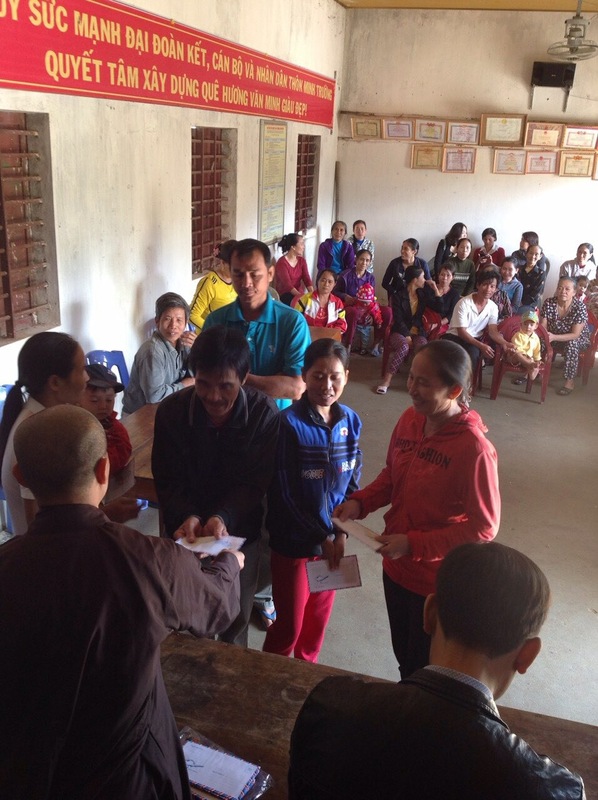 We have also sponsored small businesses and family farms in the area. 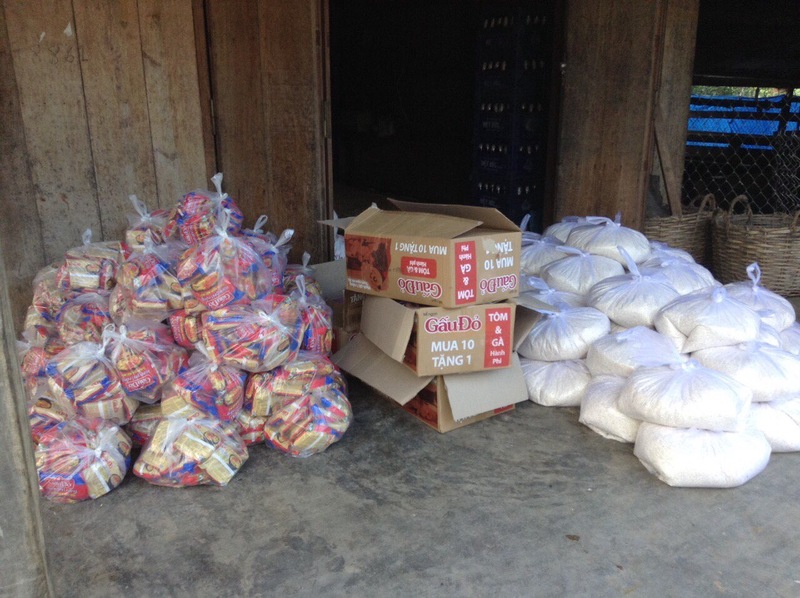 On this trip, we brought essential foodstuff to families affected by flooding. 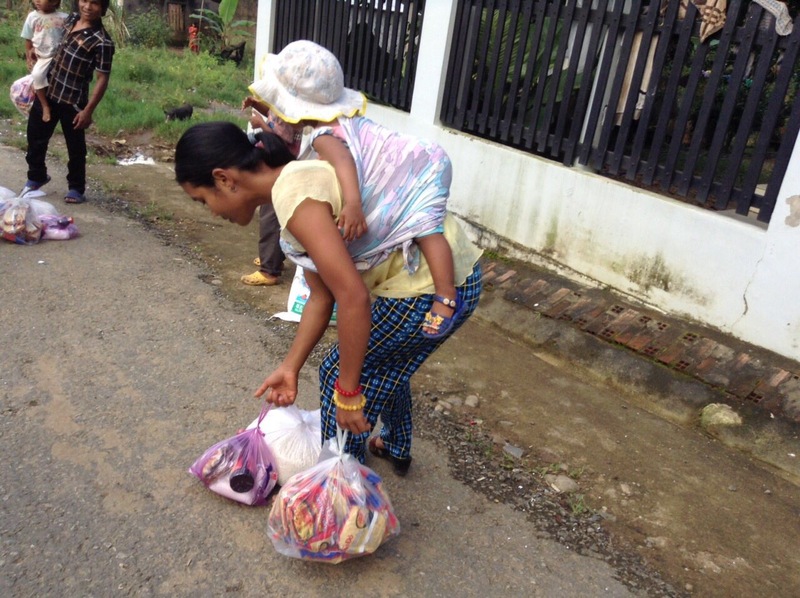 Mothers came out with their babies on their backs in traditional make-shift carriers, and village children came out to help. 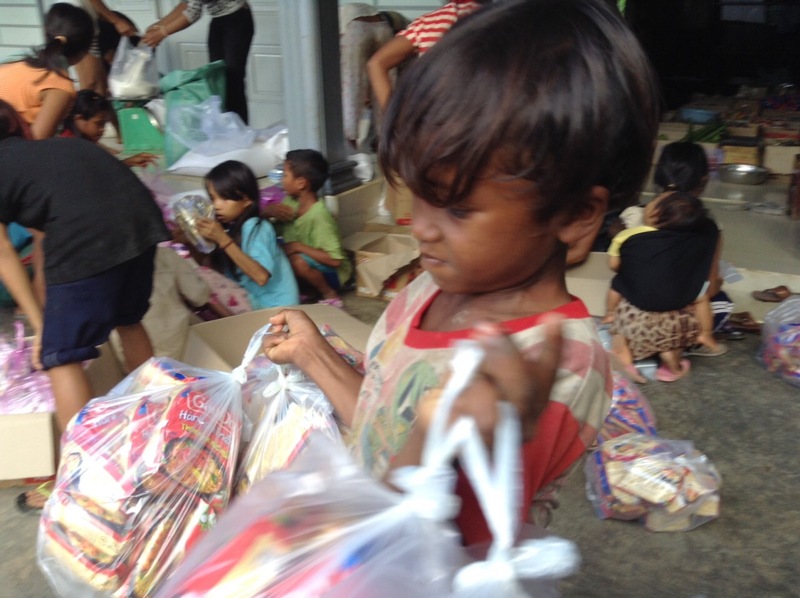 Also in November, we joined the local charity efforts of the Long Son pagoda in Nha Trang, who brought donations to the poorest communities of Quan Binh province. 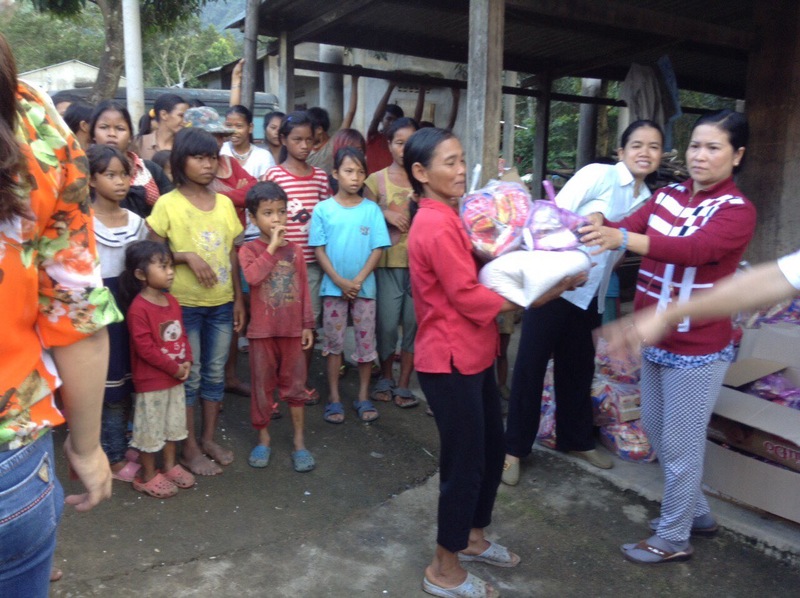 Coordinating with local authorities, children and representatives of poor families came to the local community center to receive monetary gifts to help them in this desperate time. 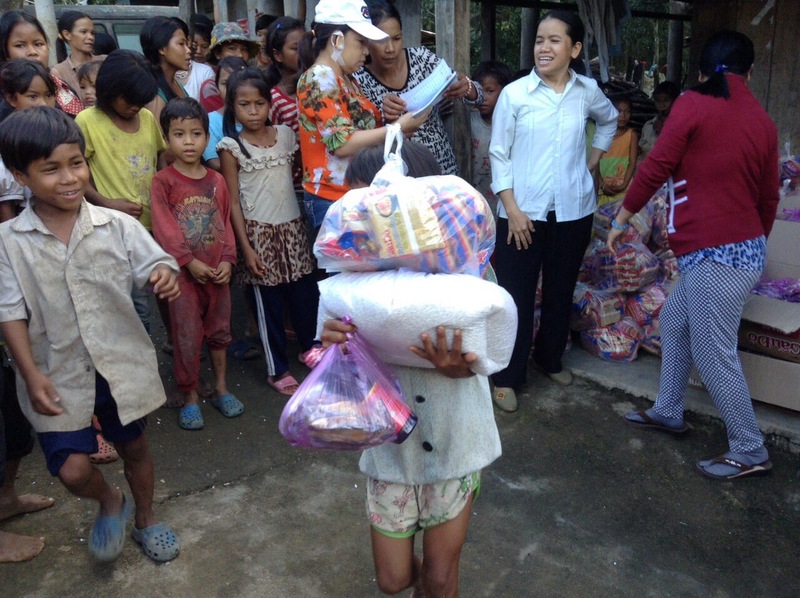 These humanitarian efforts were sponsored by JL Support Services. 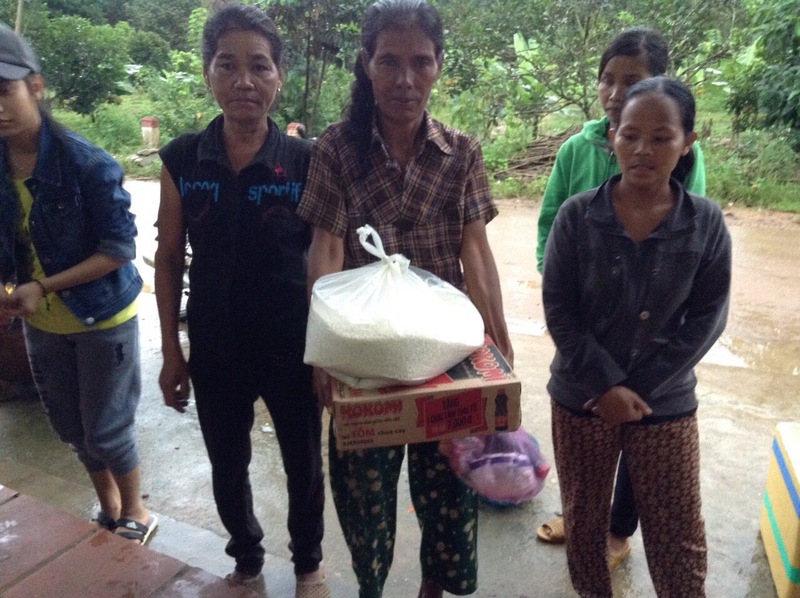 Thank you for helping these poor families!